As you would expect, the Area Rug Show Place inside our main warehouse is filled with beautiful rugs at pricing that is generally 40% below retail. 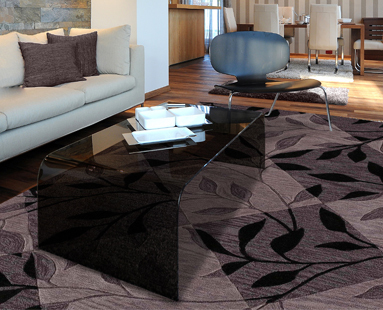 We display our rugs in the three most popular categories available: Contemporary, Traditional and Transitional. uses a lot of geometric designs with bold contemporary colors. Shags have made a sustained comeback and lend themselves perfectly to today’s lifestyles. generally have that old world look and are what most people call ‘oriental’. are pretty much as the word describes…transitional designs that fit somewhere in between contemporary and traditional. 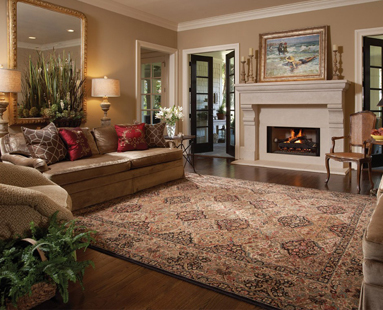 Crest Flooring offers outstanding value in every rug we sell. We purposely choose not to post our collection of rugs and pricing on line as in order to fall in love with a rug it is mandatory to see it and touch it in person. We offer ‘take home’ service so you can fall in love with the rug of your choice in your home where it will be displayed. That’s right. Just for you. You decide the color, style, border, shape and size. 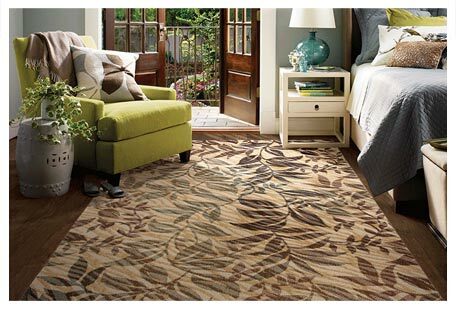 With Shaw’s Cut-A-Rug™ program, it’s never been easier to transform your room with your unique style.